WPKindredSpiritswidescreen. Anne, Diana, Anne of Green Gables. 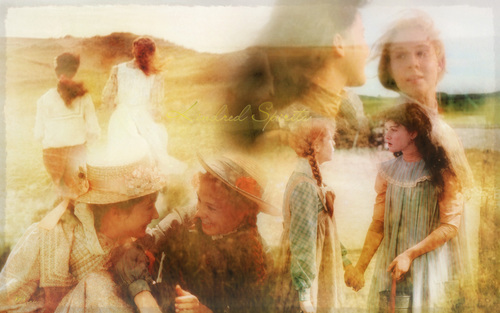 HD Wallpaper and background images in the Anne of Green Gables club tagged: anne of green gables anne. This Anne of Green Gables wallpaper contains abattoir, butchery, shambles, slaughterhouse, macelleria, and mercato della carne. There might also be banco della carne.